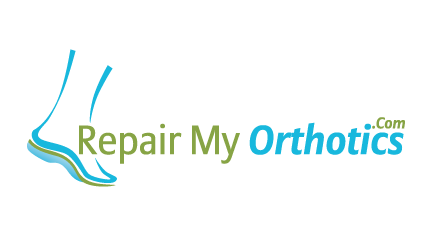 Welcome to RepairMyOrthotics.com the orthotic and insoles repair and orthotic copy service. Many custom made orthotics or insoles are made from a combination of plastics, carbon fibre, foams and padding. Some parts of the orthotic insoles wear through time, however other parts usually made from plastic or carbon fibre can be refurbished and recycled to their original condition. The main part of these plastic or carbon fibre foot orthotics (called the shell) are very robust and often outlast the leather and foam coverings added to them when first manufactured. RepairMyOrthotics.com repair and refurbish your old foot orthotics or insoles by replacing the foams and coverings fitted to the shell and make them look and work like new!! Simple! We repair orthotics from various clinics and also other manufacturers including everflex and Parish and Bell among many other orthotic manufacturers. We are regulalrly contacted by clinicians and patients who have had orthotics made by the everflex and Parish and Bell orthotics companies that have now gone out of business with clinicians looking for an alternative. With over 20 years of experience in orthotic prescription, manufacture and repair we can repair or copy pretty much any orthotics. Good for your feet, good for your pocket, good for the environment! !